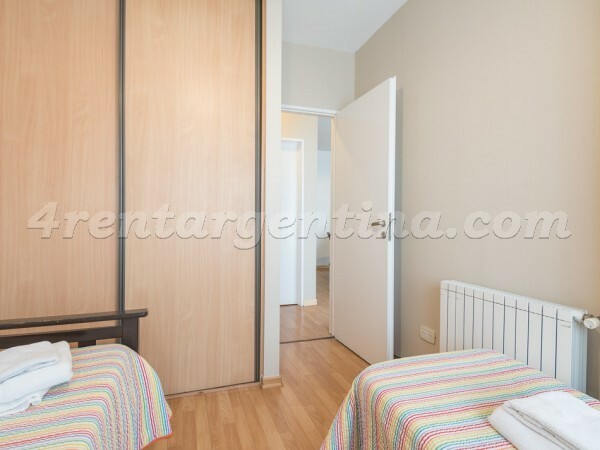 Excellent furnished apartment for temporary rent in Buenos Aires located in the beautiful neighborhood of Palermo, two blocks away from the renowned Santa Fe Avenue where you can take Subway Line D to get Downtown in few minutes,  three blocks away from Plaza Italia where you can take a lot of bus lines,  and it is very close to a great variety of bars, the Botanical Garden, the Zoo and a lot of green spaces. 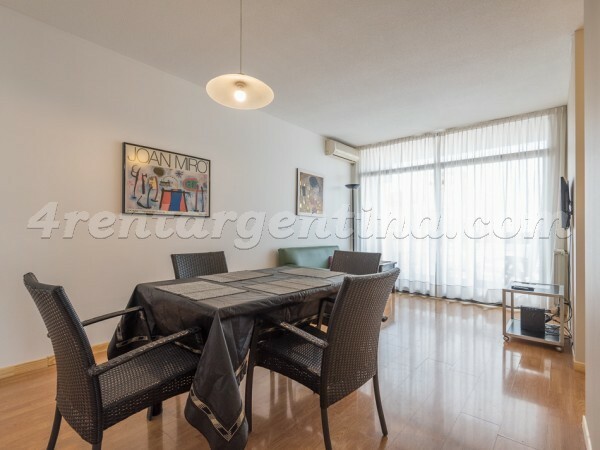 This two-bedroom apartment is very luminous due to its fenced balcony (which is safe for children and has a spectacular view), has wooden floors and is very well decorated. It is ideal to accommodate four people, and it has a spacious living-room with a sofa and a table with chairs, two comfortable bedrooms, one with a double bed and the other with two singles beds, it has two bathrooms, one with bathtub and the other one with a shower, and a fully-equipped kitchen. 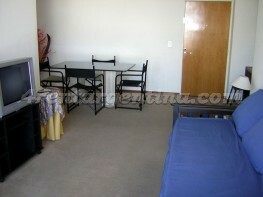 The rent includes Internet and 24-hour security service. 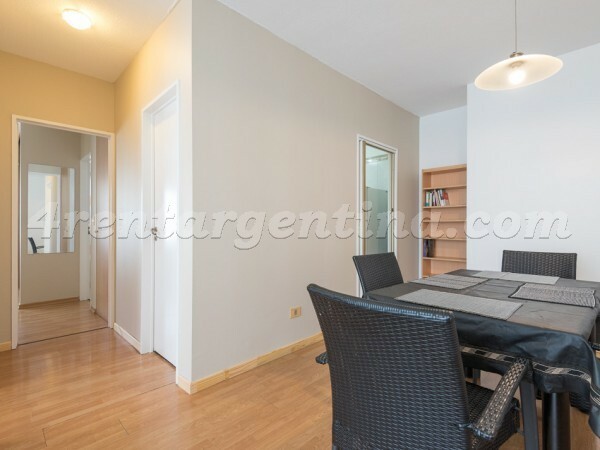 Tenants can also enjoy the garden and the swimming pool with solarium of the building. Excelente atención, gracias por todo. Especialmente al Sr. Raúl, quien fue MUY amable. todo tal cual como lo muestran las fotos, excelente todo. muy buena atención de los chicos de seguridad del turno nocturno, el propietario y el chico que me atendió en el check in. sin duda alguna volvería a este sitio. 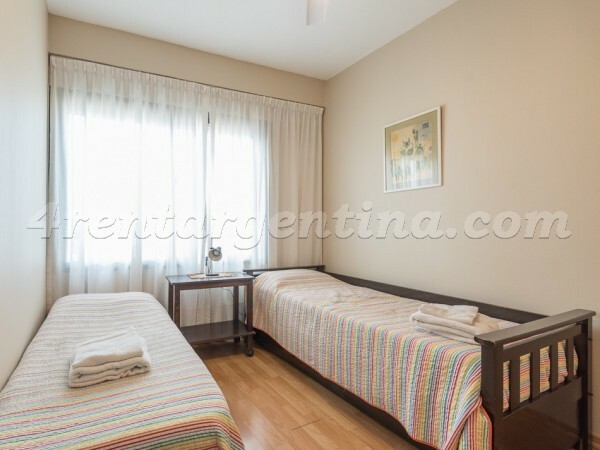 Muy conforme con el servicio - comodidad y hospitalidad. Totalmente recomendable!!!! Estuvimos tres personas adultas alojadas durante 3 días. 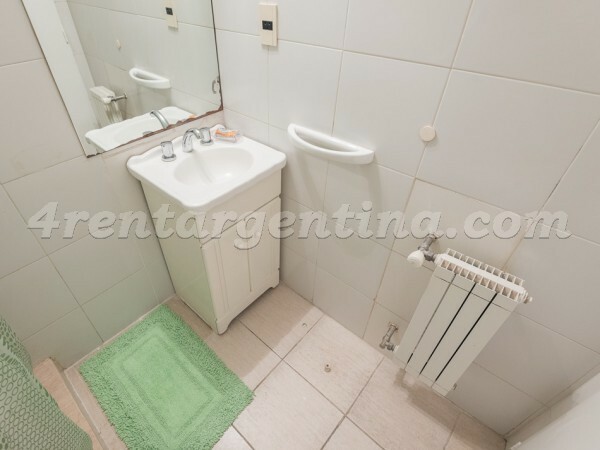 El departamento si bien no es lujoso, tiene lo necesario para estar cómodamente. Muy cerca tienes cocheras donde puedes dejar tu auto y no lo necesitarás hasta el día que regreses a casa. A dos cuadras encontrarás supermercados y panaderías, también lugares para comer o llevarte tu comida al departamento. Está a pocos minutos de caminando de Jardín Botánico y La Rural de Palermo, con varias lineas de colectivo y subterraneo. No dejes de conocer Palermo Soho, también llegas caminando luego de 5 cuadras. Tanto el checkin como el checkout. lo hicimos fuera de horario y la gente de 4Rent cumplió con lo pactado sin pérdidas de tiempo para nosotros. Sin dudas utilizaré nuevamente este servicio. we stayed in the same apartment last year and may do so again. I want to visit Buenos Aires again and will use your services. It was a really good service. Really responsive and reliable. Much appreciated from a first time visitor to Argentina. 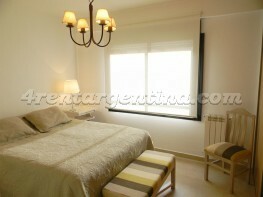 Overall, it was an excellent stay and would do it again with 4 Rent Argentina! Staff was very, very helpful and accomodating.